Front of the recipe card for Crockpot Stroganoff. 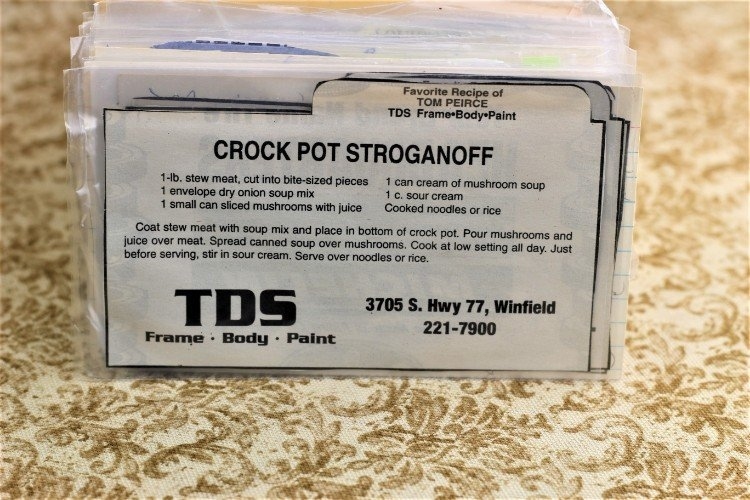 There are lots of fun recipes to read in the box this recipe for Crockpot Stroganoff was with. 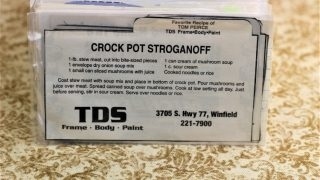 Use the links below to view other recipes similar to this Crockpot Stroganoff recipe. If you make this Crockpot Stroganoff recipe, please share your photos and comments below! Coat stew meat with soup mix and place in bottom of crock pot. Pour mushrooms and juice over meat. Spread canned soup over mushrooms. Cook at low setting all day.